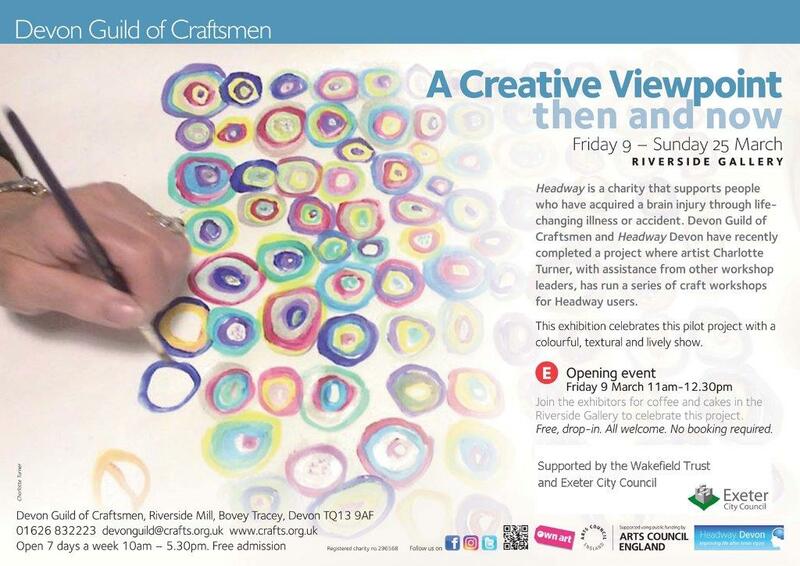 From 9th – 25th March, the Devon Guild of Craftsmen’s Riverside Gallery in Bovey Tracey will be showcasing a series of artworks created by clients at Headway Devon’s centre in Exeter. 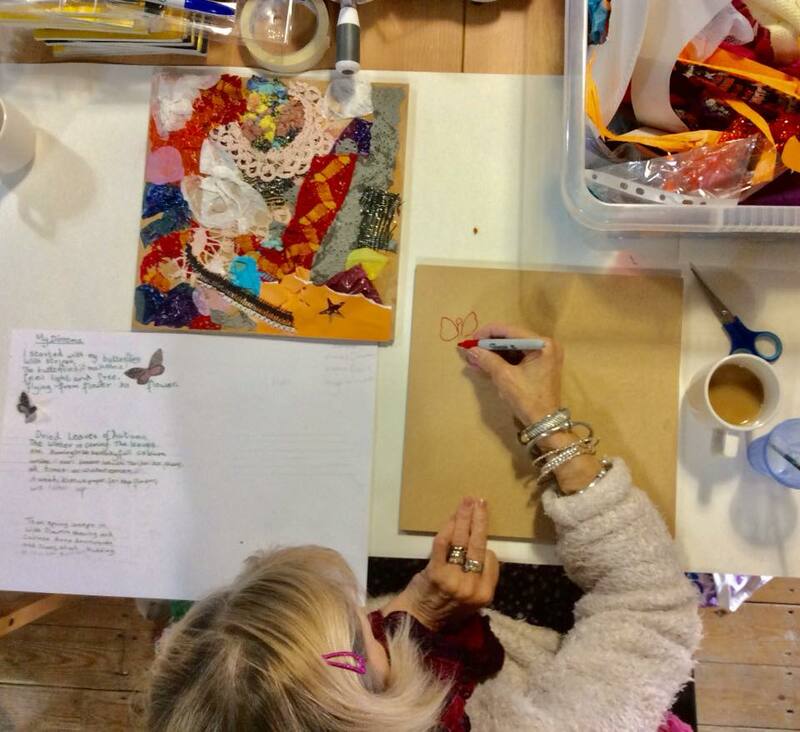 The artwork was created through a project held at our Exeter centre entitled, “A Creative Viewpoint: Then and Now.” The project was led by local artist Charlotte Turner and also featured workshops with bookbinder Megan Stallworthy and textile artist Tracey Benton. The work for the exhibition includes textile hangings, collagraph prints, dioramas, hand-made books and 3D textiles. Three short films and one longer film, showing participants discussing the art sessions and what they have meant to them, will also be on show. “I came to Headway as an artist with knowledge of running community art projects and youth work. I’m not trained in art therapy and have deliberately not been looking at the art activities in this way. The sessions have been about play, trying new things, having fun and working together. Many of the participants have mobility and communication challenges and I was always looking for ways to help as many people take part as possible. We have found new and innovative ways to help each other; I was in awe of the kindness and support that’s shown to anyone who needs it. “I started with collage and collagraph printing projects, we didn’t have specific outcomes as I felt that if we just played with ideas and techniques the work would develop and show its direction. The dioramas, books and banner were all a result of a flow of ideas between myself and the participants. 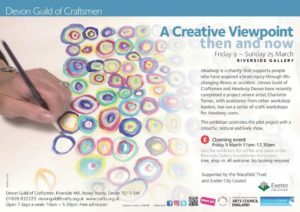 The exhibition will be a celebration of the work that has taken place and the achievements of participants. It is open daily, 10am-5.30pm at the Riverside Gallery in Bovey Tracey and entry is free. There will also be an opening party on the first day of the exhibition, Friday 9th March from 11am-12.30pm. This is open to all and is a chance to join the exhibitors for coffee and cakes. This project was made possible by the generous support of Exeter City Council, the Wakefield Trust and the St Edmunds and St Mary Major Charity.